Change is exciting at first, messy in the middle and gorgeous at the end. We are glad to have you with us on this journey of transition! 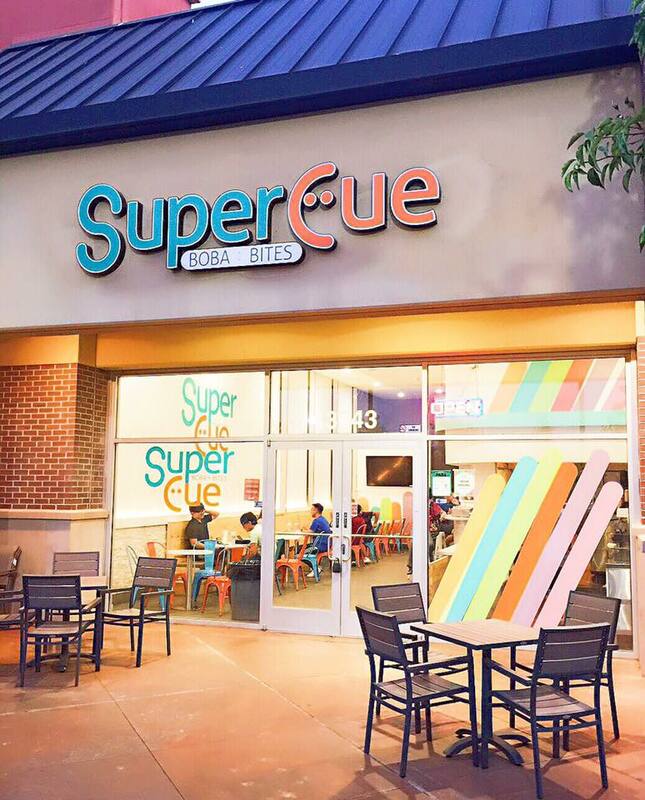 Super Cue 2.0 is coming to Fremont, are you ready? Mango Boba Cue is here, the house made flavor Boba you've never seen before. Available at Ocean, Taraval and San Mateo locations. There are days that you just want to stay where you are instead of walking out the door, and we fully understand. Simply order delivery on DoorDash and have Super Cue delivery to your door! For the best quality in taste, we've invited Tea Specialist with 15 years of experience from Taiwan, where Bubble Tea was originated and put together our Signature Drink menu. ✔️First, the smoothie section, they are not just everyday smoothies, we've added different ingredients for your taste buds that seek layer in flavors. We've heard they are tasty with toppings, too! ✔️Second, the tea section could never go wrong when you are looking for a non-creamy and refreshing choice that's perfect for every day. ✔️Last but not least, our flavored milk tea is what to choose when you want something creamy, also the great choice when you feel like holding and drinking something warm. Have our fresh pressed by order tea any way you like! Super Cue's TeaPressos are great in many ways; they are flavorful by themselves with our high-quality selection of tea, the excellent choice for authentic tea lovers who like things the way it is. Choose milk tea or Latte and enjoy your drink the old fashion way with toppings that we selected to add flavors and characters to your favorite drink.